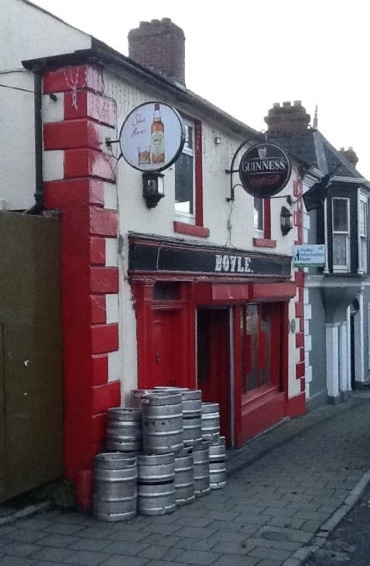 Boyles Pub is the place to be when in Slane, Co. Meath Ireland! Where you are sure to make friends with the warm and witty locals within the first pint, and this A-1 publican books in the greatest musicians touring the land. Fabulous Wednesday night folk sessions, good Guinness, great cider selection (including a local brew) and of course Bulmers and he occasionally fires up the grill out in the garden for complimentary sausages during premiere rugby or football matches on the tellie!